Throughout its history, Waco has been affected by a constant cycle of drought and flooding due to its prime location near several major rivers. 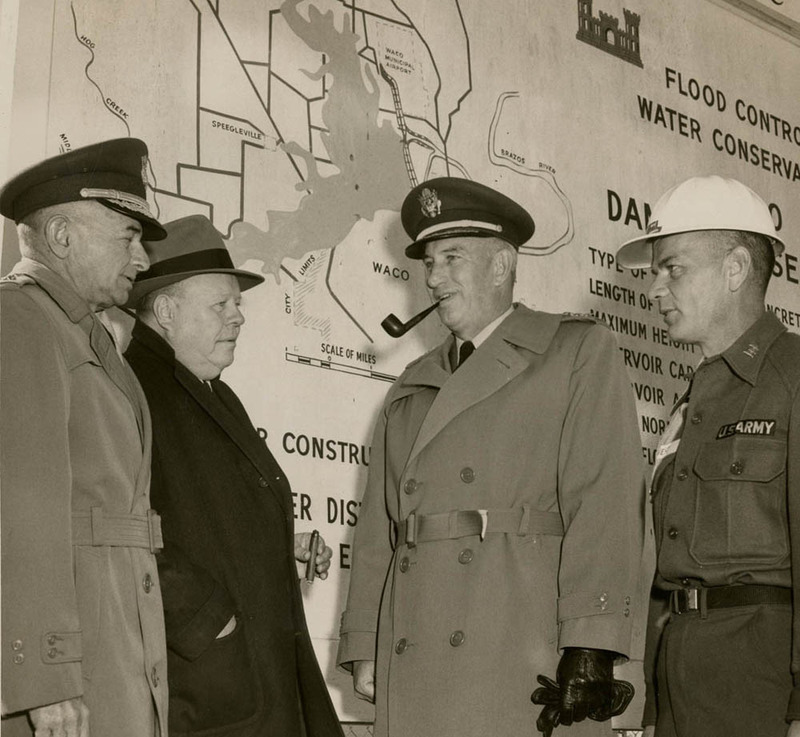 The construction of Lake Waco Dam was one of the most successful efforts to address these issues, providing the city with flood protection and a stable water supply. Many Wacoans, including Mayor H. F. Connally, opposed the construction of the original dam in the 1920s, preferring to rely upon the city’s artesian wells as a water supply. Though some saw the dam as a foolhardy and risky luxury, the city put the issue up to a vote in 1926 after the wells began to run dry. Voters approved the construction of the dam by a slim margin of just over one hundred votes. In 1929, Callahan Construction Company completed work on the dam on the Bosque River. The small dam, though beneficial to Waco, proved to be insufficient to protect the city from severe flooding. After a record flood in 1936 submerged East Waco and displaced two thousand people, Congressman Bob Poage received authorization for a US Army Corps Engineering flood control study of Lake Waco. The results of the study in 1938 recommended an enlarged Lake Waco with a bigger, more modern dam. However, the onset of World War II put the Lake Waco project on hold for some time. The construction of dams on Lake Whitney and Belton Lake took precedence in 1946, though the need for a larger water supply was becoming more apparent each year. 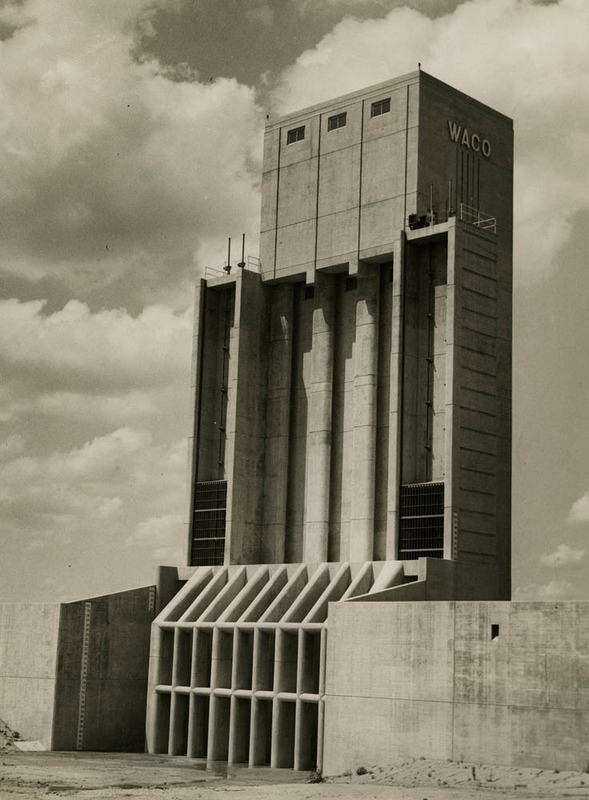 Several Wacoans appealed to the federal government for funding, and in 1954, Congress authorized the construction of a new dam in order to lessen the flood threat to the city of Waco and provide more efficient water storage. As the US Army Corps of Engineers began to design the new dam, Central Texas conditions worsened. The most severe drought of the twentieth century struck Texas in the 1950s. The period saw all but ten of Texas’ counties declared federal disaster areas, and in Waco, despite efforts to ration and conserve water, taps ran dry and factories slowed production. Additionally, the water supply in Lake Waco was hampered by the buildup of silt from farming up river. 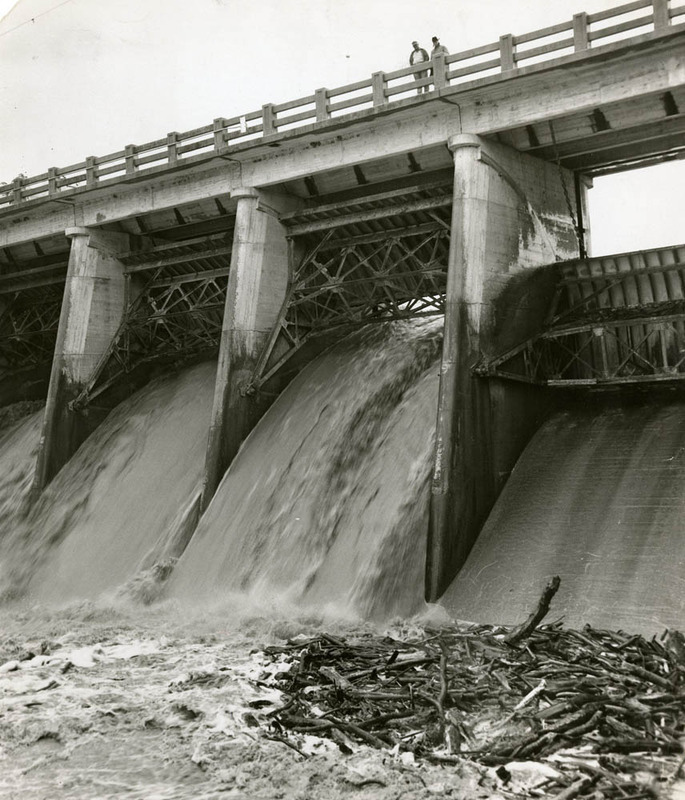 A second disastrous flood hit the city in April 1957, reenergizing efforts to complete the dam. The Brazos River Authority and the city offered to provide a loan to the federal government in order to begin construction on the dam quickly. 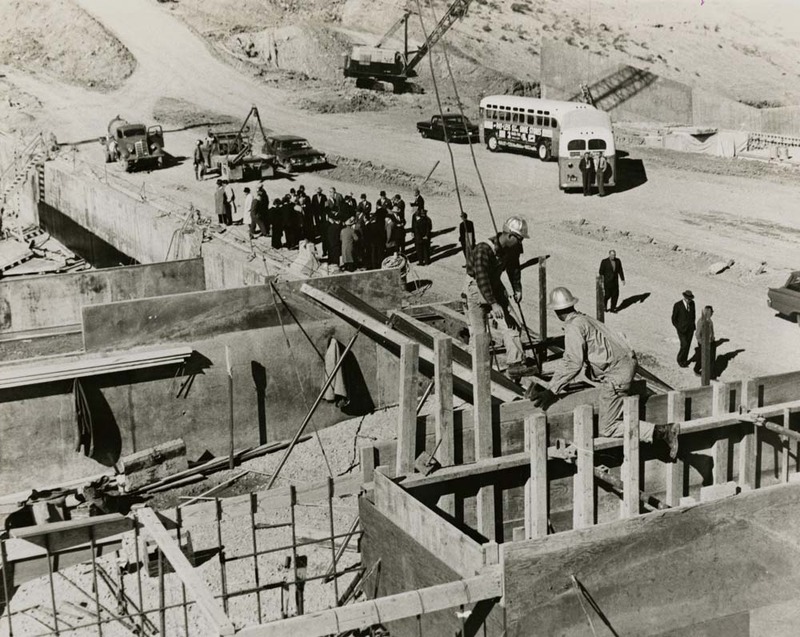 After some negotiations, President Eisenhower included one million dollars in his proposed budget for the construction of the new dam. In the weeks following the dam’s completion in the fall of 1961, engineers detected a problem with disastrous implications. Cracks appeared in the eastern face of the dam and slowly began to spread. Soon, a portion of the east side fell sixteen feet, sliding downstream. The US Corps of Army Engineers quickly discovered the problem was a layer of compressed shale in the ground which the weight of the dam had pushed out. 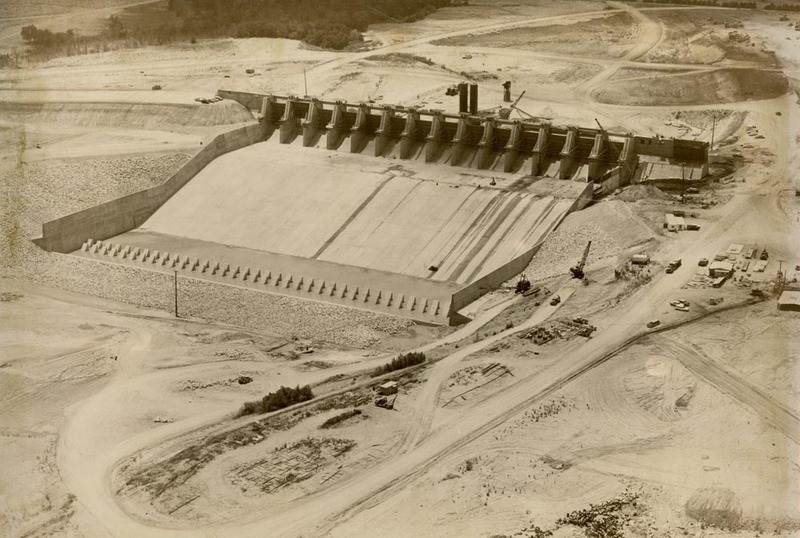 They modified and stabilized the dam, completely finishing construction in the spring of 1965. Army engineers and the city of Waco agreed to raise the level of the lake seven feet in 2003 in order to provide a more secure source of water for Waco and surrounding municipalities. 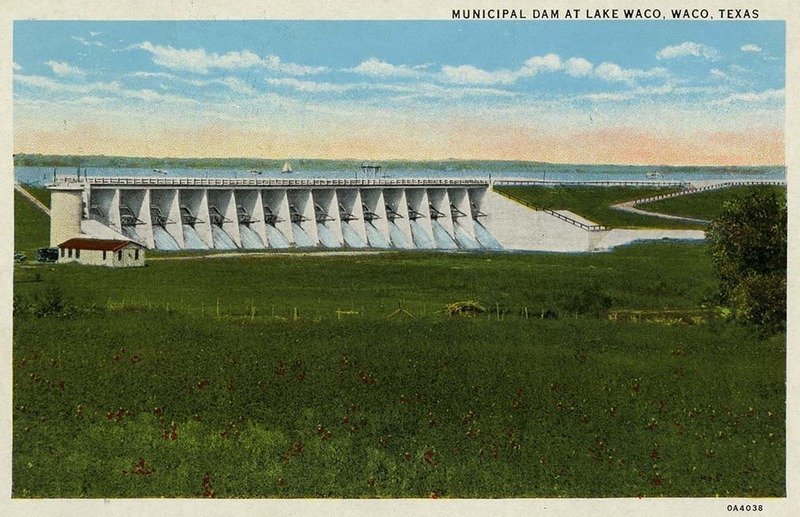 Waco civic leader Jack Kultgen described the dam as the “single biggest factor in the progress of Waco” in the twentieth century because it gave Waco an advantage over many other Central Texas cities. The Lake Waco Dam provides the city with a constant source of water, ensuring the city’s ability to grow in spite of weather conditions. Amanda Sawyer, “Waco Dam,” Waco History, accessed April 26, 2019, https://wacohistory.org/items/show/45.